This Featured Listing is a Shaeffer Hyde Ski in Ski out Luxury Home. The May 2016 edition of Vail Valley HOME Magazine promoted a “PROPERTY SPOTLIGHT” of this remarkable Shaeffer Hyde residence in Vail Village. The sophisticated property described in the write-up was designed by Architect Kyle Webb to incorporate a balance of traditional ski village charm with innovative contemporary elements and finishes. Named Mountain Living’s 2010 Home of the Year, this residence is situated on an impressive site chosen by the original Vail socialite Ann Taylor. The historical significance of the homesite was detailed in Vail Beaver Creek Magazine to commemorate Vail’s 50th Birthday. 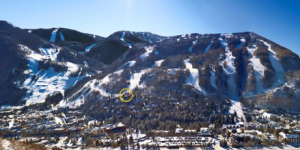 This impressive 11,509 square foot ski in ski out luxury home is on the market. The home details for 107 Rockledge Rd. can be explored at luxuryportfolio.com , or by contacting the listing agent named in the Vail Valley HOME Magazine property spotlight. 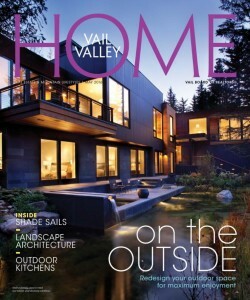 The story of Vail’s contemporary rebirth is told in the Vail | Beaver Creek Magazine fifty year e dition. In this piece, “Remaking History,” the reinvention of a well-known property is explored. In this addition of Mountain Living, a Luxury Shaeffer Hyde home is featured as home of the year. This contemporary mountain home, is 11, 509 square feet with seven bedrooms, four baths, and two half baths.